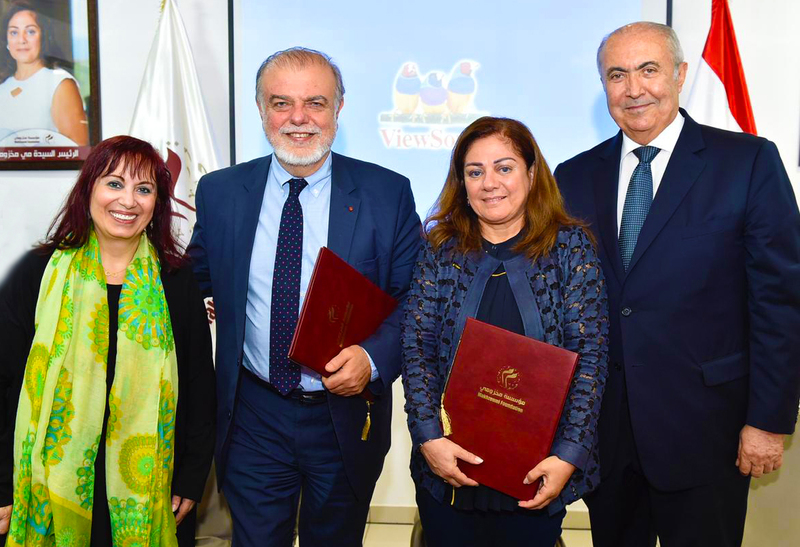 We are delighted to announce that on Thursday the 11th of April, at a ceremony held in Beirut, Lebanon, MIO-ECSDE welcomed the Makhzoumi Foundation to its Circle of Strategic Partners. The MIO-ECSDE Circle of Strategic Partners are Foundations, Donors, Patrons with similar aims for a sustainable, peaceful and prosperous Mediterranean region. The overall aim of the Circle is the facilitation of knowledge/expertise exchange and access to more synergies and resources for more and better projects and activities. The Makhzoumi Foundation is a private, not-for-profit Non-Governmental Organization established in Lebanon since 1997, aiming to help empower the community in Lebanon to achieve self-sufficient independence via improved prospects. Founded by H.E. Deputy Fouad Makhzoumi, the Foundation is chaired by Mrs. May Naamani Makhzoumi and supported by a dedicated team that works closely with MIO-ECSDE on common goals such as Awareness and Education for Sustainable Development, Resource Efficiency, etc.